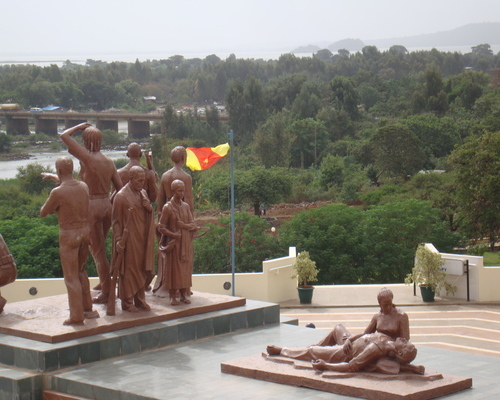 The martyr’s memorial monument was built near Blue Nile River at Keble eleven of Bahir Dar city and it was constructed by the contribution from party and military members, as well as supporters with the view to transfer the history of ANDM to the next generation and continuing on as exemplary for development, peace, democracy and good governance. 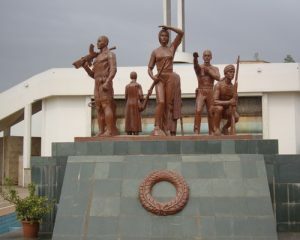 The mission of the institution –preserving the natural and artificial beauty of the monument in the way it reflect the finger prints (ashara) and role of ANDM for peace, democracy and good governance thereby ensuring the benefit of the people of the region of AMHARA by playing pertinent role in poverty eradication endeavors. To plan, direct and execute the protection, development and usage of the monument, the museum and other services. To undertake study and researchactivities based on its mission and objective. 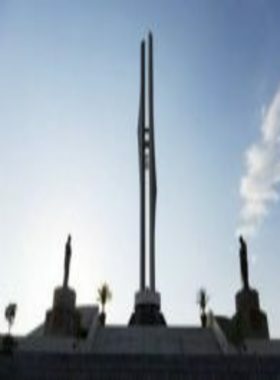 To promote the monument and the museum to make it one of a tourist attracting site. To reserve and display different materials that was used during the struggle. Victory and scarification, realities and events. Shows the interaction of nature and human beings. The duality of opposites and harmony. The essence and existence of human beings. Authentic in its quality and uniqueness. Built a way it has always remembered and understood in the minds of visitors. More compatible to the surrounding landscape. Artistic and aesthetic and a symbol of unity, peace and humanity. At the bottom it has six pillars and it symbolizes ones and unity. The unity of the people and support for ADP. The black color shows the miserable condition the soldiers and people faced. A fire blowing which has a meaning of scarification of fighters the peace, prosperity and good governance. – Water droplet which has a meaning that of blood and sweat that emit from the fighters in times of struggle. The soil represents the graves of fighters who lost their respective lives. The blowing of air represents- the suffering of fighter’s whogoes ups and downs during the struggle. The central committee of the party and their unity. The white color represents victory and heroism. 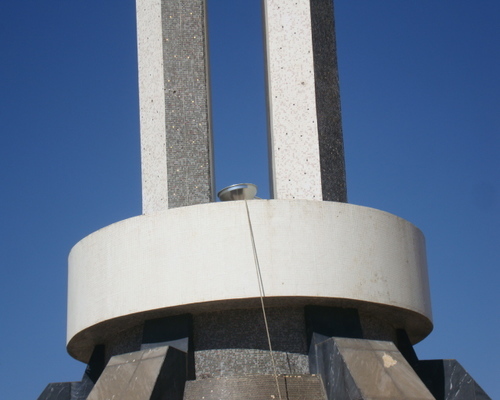 On top of the circular disk there are two parts which are erected face to face. Equalparticipation of both struggling against derge. Their color is white and black which means peace and war, scarification and victory. One top of the two pillars there is a ring like structure which joins the two sides and it indicates their unity and cooperation on both sexes. 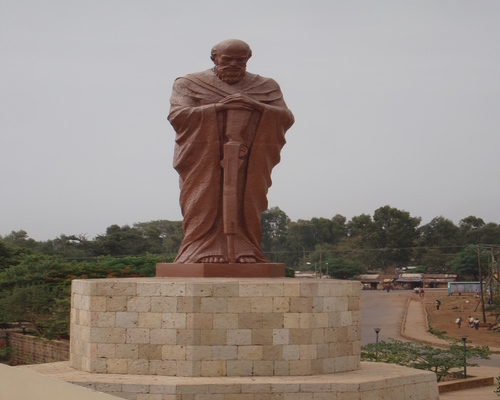 It gives additional aesthetic value to the monument and it is representative and realistic. 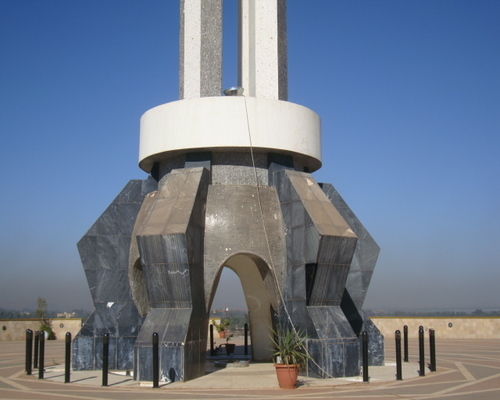 It is placed at the back and front view of the monument. 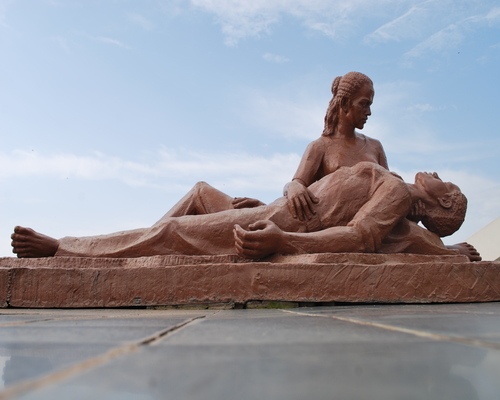 Sculptures at the front view of the monument can be categorized as three dimensional Sculptures and two dimensional reliefs. Finishing a long and protracted war struggle with strong solidarity. Fighters and people who struggle in endurance andstand carefully with hope and optimism. A mother arrived for car of a scarified solider. It narrates the course of struggle from its foundation up to victory and there is also ANDM’s long on both sides of the Sculpture. 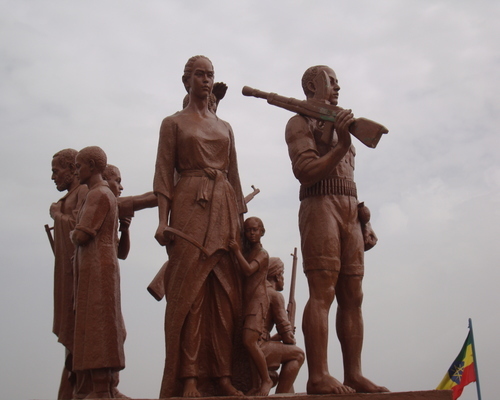 A mother with care of her child and a father with his gun which symbolize: peace, stability and development. Generally water droplets from the top of the monument combine together to fro a water fall and it seems as if it is one of the tributary of Abay. It means that the struggle has begun by a few in numbers but through in time they are able to mobilize the whole people. 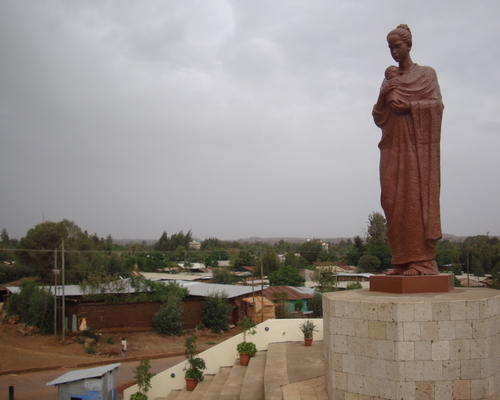 BAHIR DAR Abay Mado . © 2019 Amhara Region People Martyrs Memorial Monument Office. All rights reserved.